João Bosco is a Brazilian singer and guitarist who deserves to be known better than he is. Appearing on the Brazilian-music scene at around the same time as the MPB movement was going on, Bosco always stood out from the crowd. His guitar style was always unique – having more in common with the smaller Brazilian lute-like instrument, the cavaquinho. His playing was also much more rooted in bossa nova, traditional Brazilian forms and jazz than many of the other MPB musicians, who were overwhelmingly influenced by American psych and acid rock of the time. João Bosco was born João Bosco de Freitas Mucci in 1946 in Ponte Nova, Brazil. 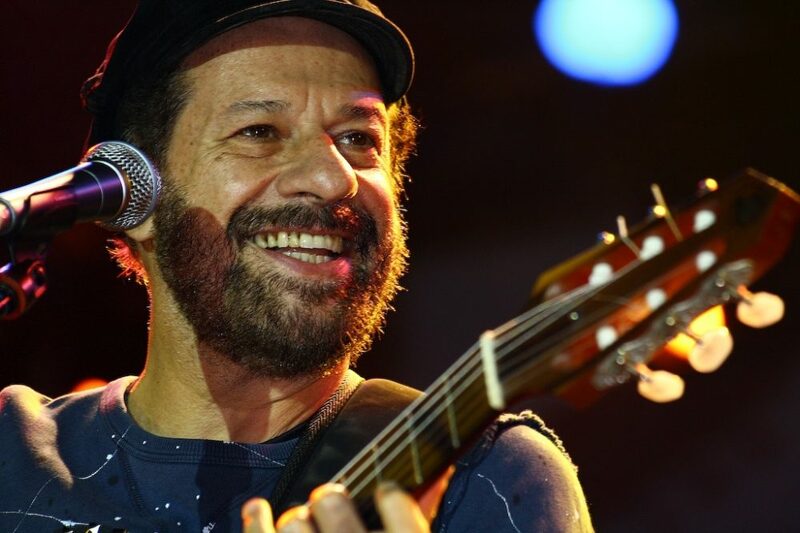 Originally trained as an engineer, Bosco dabbled in music on the side until moving to Rio and meeting the singer Elis Regina. Regina recorded a number of Bosco’s songs. These songs proved to be big hits and convinced Bosco to pursue music full-time. He rapidly became a formidable singer, guitarist and recording artist in his own right. Drawing on his part Arab heritage, Bosco fused bossa nova, et al with traditional Arab music forms as well, giving his music a unique flavor. Bosco continues to record and play to this day and remains a popular fixture in his native Brazil.